My brain understands math. It understands science. But art??? I have a hard time really seeing art sometimes. I don’t always “get” the symbolism and allegories that the artist is trying to create. I see the beauty in nature and the way God created the human body to work perfectly in His plan and the amazing creatures that God places on this earth. But man-made art sometimes leaves me wondering….why???? 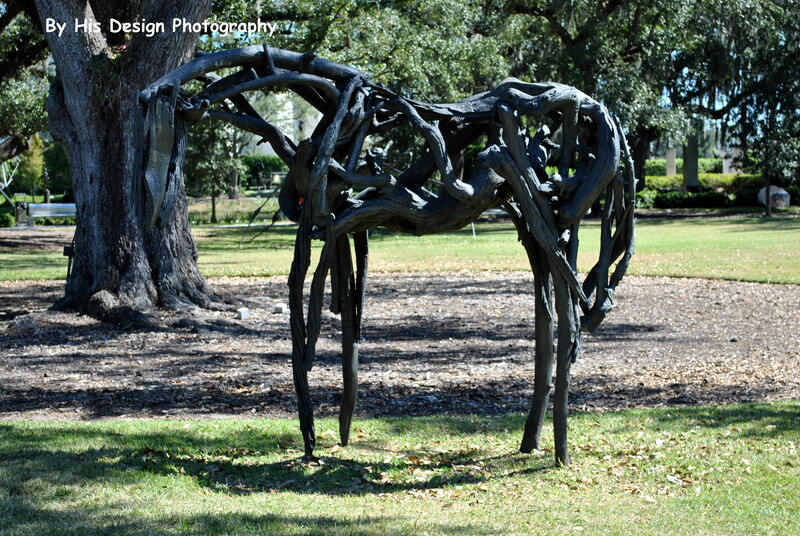 Restrained, created by Deborah Butterfield, is made of pieces of bronze and wood. This was the first piece that we saw. I actually liked this piece. Perfect Vehicles are abstractions of classical oriental vases and suggest the crassness of the marketplace. 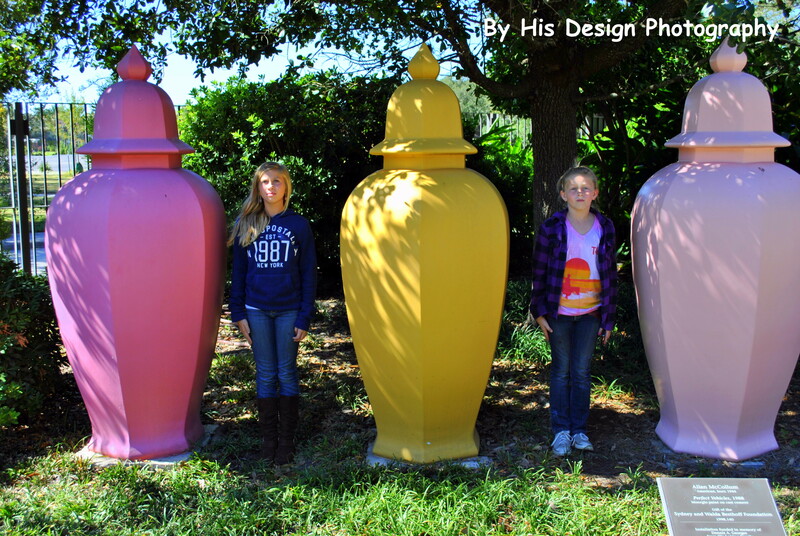 To Middle Sis and Lil Sis, they were big vases that were fun to pose between. 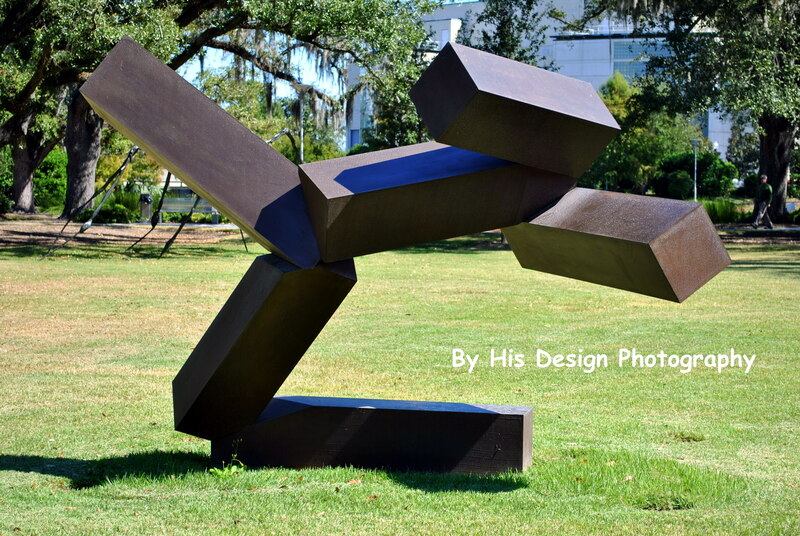 Untitled, by Joel Shapiro, used blocky geometric forms to suggest body and limbs. I can see kinda see that after reading the tour brochure. We liked the Safety Pin. 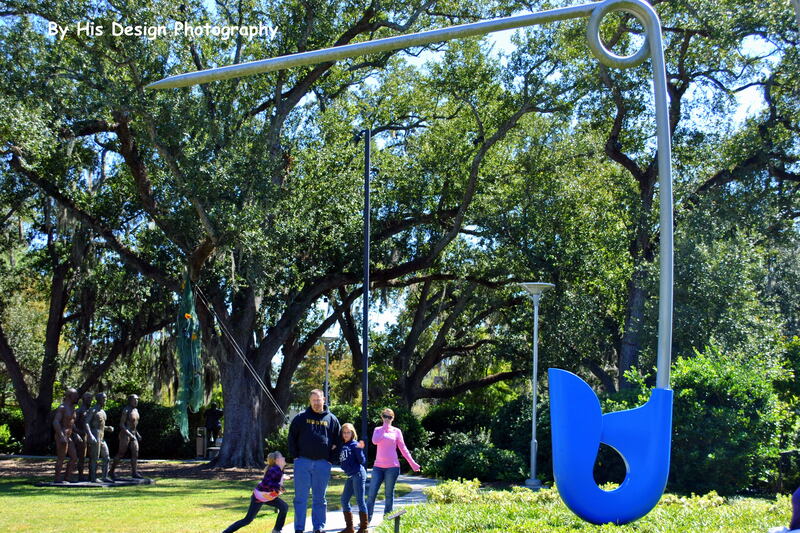 Claes Oldenburg, from Sweden, is recognized as one of the greatest international Pop Art sculptor. His sculptures are often very large and humorous. Also seen are the Riace Warriors and theTree of Necklaces. Tree of Necklaces (the green rope looking stuff hanging from the tree) depicts Mardi Gras beads hanging from the trees on St Charles Ave after parades in New Orleans. Open Spaces was created by Israeli artist, Yaacov Agam and is Op (optical) art. He invites viewer participation in his art; therefore, we participated. 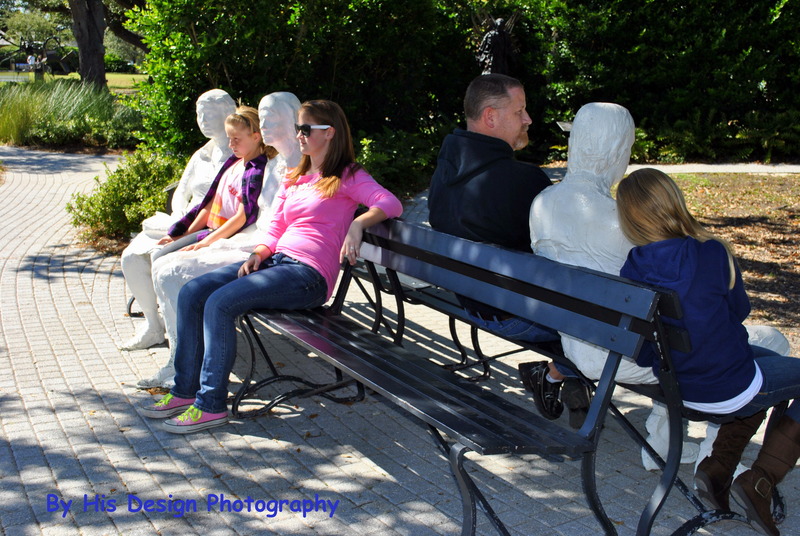 George Segal created Three Figures and Four Benches to show the individual solitude in urban spaces. He actually used live models which he covered with plaster-soaked clothes to create his figures. 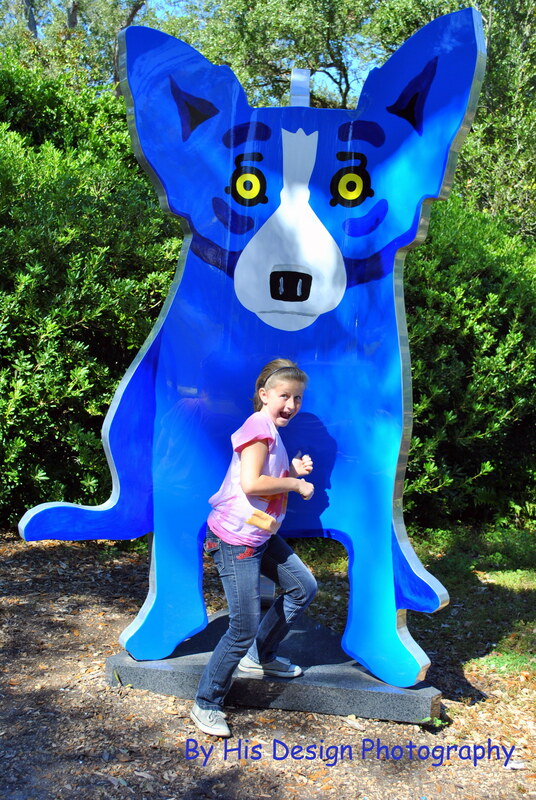 We love George Rodrigue’s Blue Dog and look for him all over the city. 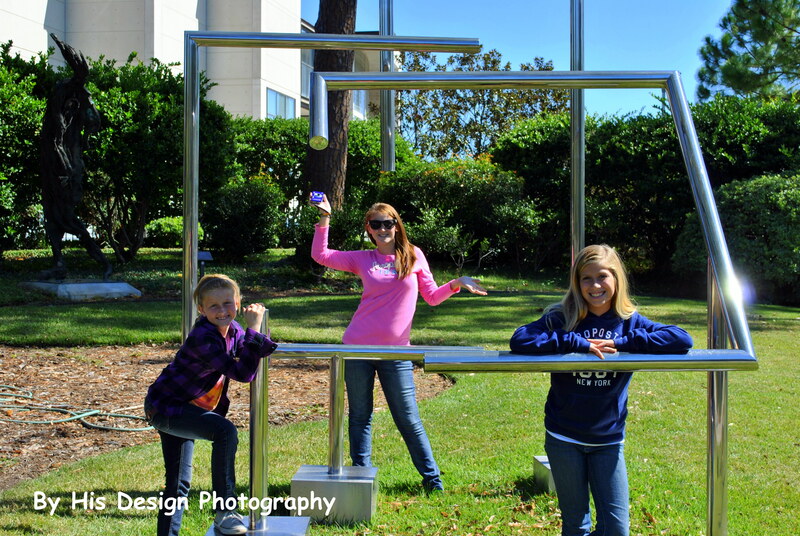 The sculpture garden was really a great field trip. I learn as much (if not more) than the girls. There are over 60 sculptures in the garden and each has its own story. I am grateful that the Lord made each of us individuals. While He made my brain a math and science brain, He gave others the gift of art. This entry was posted in Field Trip, homeschooling, Learning!Loving!Living! and tagged art appreciation, field trip, homeschool. Bookmark the permalink. 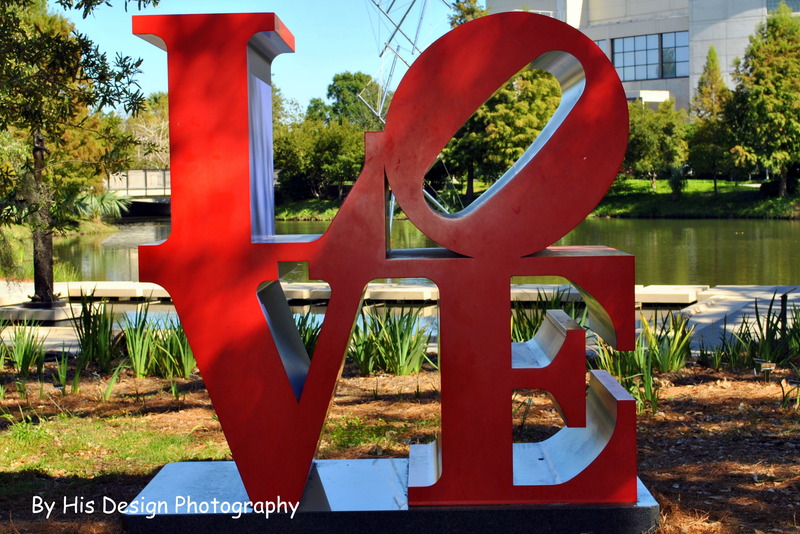 My oldest son, in particular, would love going to a sculpture garden. That’s totally his kind of thing! Fun day!